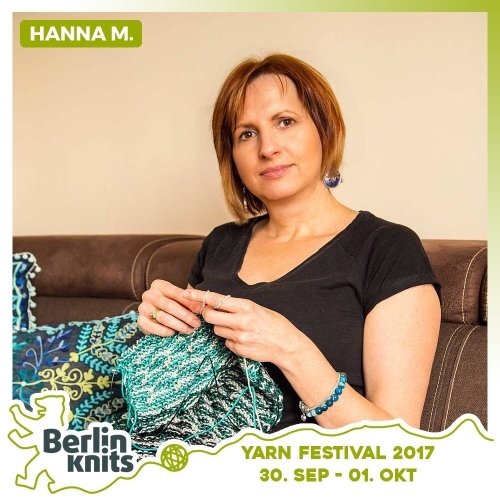 Hanna Maciejewska Knit For Your Curves and Edges! Ticket Hanna Maciejewska - Hanna Maciejewska - Workshops | Berlinknits - Yarn Festival 2017 - 30.9. - 1.10. Knit For Your Curves and Edges! Have you been quite generously equipped by the bust fairy, and all your knitted sweaters are either too tight in the chest or too large everywhere else? Or the opposite: are you the lucky inhabitant of a pear shaped body with feminine hips, and all your knitwear is too tight in this area, making the button bands gape below the waist while hanging loosely at the top?If you said yes to at least one of the above, you are a candidate for learning how to customize a sweater pattern to best fit your figure and to emphasize your greatest features! We'll help you getting where you want to end up!